Successfully saved Enchiladas Suizas (Creamy Chicken Enchiladas) to your Calendar. You can also save the ingredients to your Grocery List. 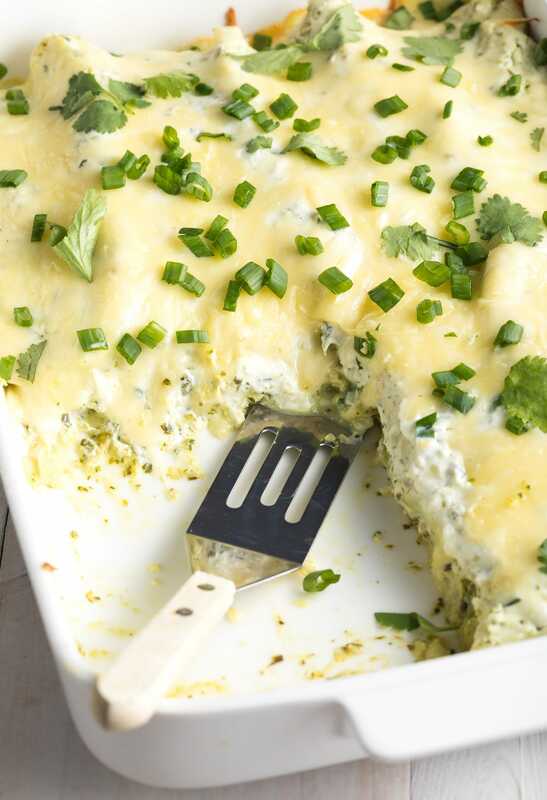 These Creamy Chicken Enchiladas are bold and zesty with veggie-apcked salsa verde and a rich silky sauce!